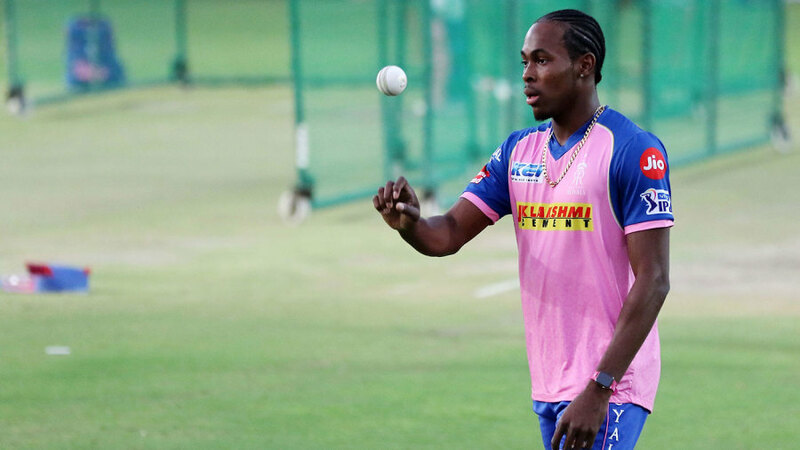 England have deferred the question of whether Jofra Archer will make their World Cup squad after naming an unchanged 15 for the ICC’s preliminary deadline. Archer is set to make his England debut, however, after being included for next month’s ODI in Ireland and a T20I and five ODIs against Pakistan, potentially giving him seven outings to make his case. Chris Jordan, Archer’s Sussex team-mate, is the other extra member in the expanded 17-man squad ODI to play Pakistan, having maintained a late push for World Cup consideration with his T20I performances in the Caribbean last month, despite last playing a 50-over international in 2016. A smaller party of 14 will take on Ireland in Dublin on May 3, followed by a T20I against Pakistan two days later. Moeen Ali, Jonny Bairstow, Jos Buttler and Ben Stokes – all regulars at their IPL franchises – have been rested, as has Chris Woakes, as part of managing a long-term knee problem. 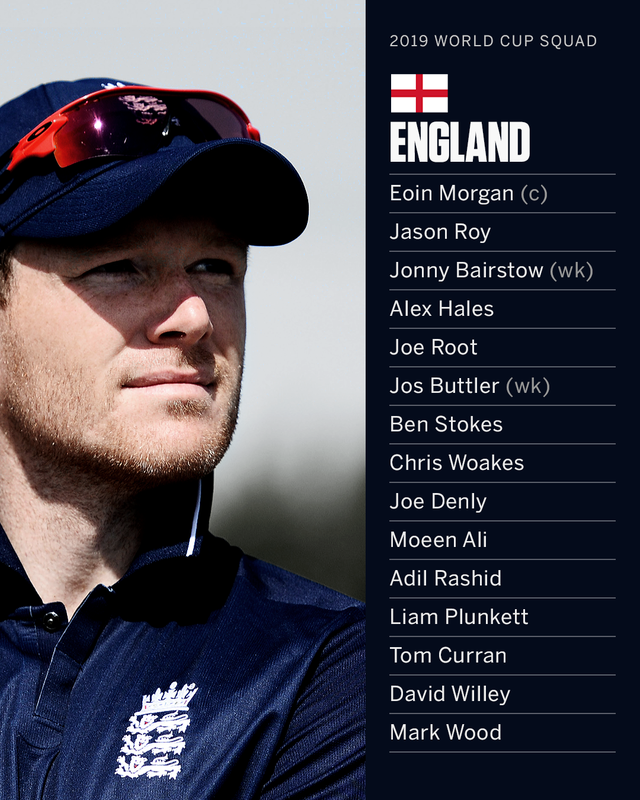 Sam Billings and James Vince are included, to contest the second-reserve batting spot, with Alex Hales inked in as the designated spare batsman within the 15. The potential inclusion of Archer, the Barbados-born allrounder who qualified to represent England last month, has been the subject of much debate among the squad’s incumbent fast bowlers, but the decision by national selector Ed Smith will ensure peace for now, as well as setting up what is effectively a World Cup play-off for the last bowling spot. Smith described Archer as a “very exciting talent”. “The selection panel would like to give Jofra Archer the opportunity to stake a claim for the final World Cup squad, which will be announced in a little over a month,” Smith told Sky Sports News. “He’s someone who has very quickly shown what he can do on a big stage. Soon after learning the news of his selection yesterday, Archer took 3-15 for Rajasthan Royals, who lost their IPL match to Kings XI Punjab. “In line with ICC regulations, we have to name a preliminary squad of 15 for the ICC Men’s Cricket World Cup before April 23,” Smith said. “However, all 17 players named in the Royal London ODIs against Pakistan can stake a claim to be in the final 15-man squad, finalised at the end of that series. “The selection panel has been impressed with Jofra Archer’s performances in domestic and franchise cricket. He is a very talented and exciting cricketer. Chris Jordan, a regular in T20 squads over the past few years, has continued to develop as a cricketer – as we saw in the T20s in the West Indies. He fully deserves his return to the ODI squad.